Blog Archives - Unison Piano Co.
Purchasing a piano for your family can create a lifetime of enjoyment and intellectual stimulation. Musically, you need to select a piano that has the key touch and musical tone that you like. Used pianos are generally reconditioned, and they usually come with a dealer warranty, moving and complimentary tuning. Despite the obvious drawbacks and hidden costs of purchasing a used piano privately, you can still do fine as long as you allow a Registered Piano Technician guide you through this potentially confusing purchase. When looking for used Yamaha pianos in Toronto, your two basic choices are to buy from a piano seller or an individual. Make sure while you place an online order, you fully understand all the charges including those of handling, delivery and extra services. The voice of a quality used piano ages well and you could save a lot by getting a really good deal in no time. However, you should know that sampling is a great way to get to know pianos, and you should test as many as possible. Before you check out a used piano, learn about its background. You could inquire about the brand, model, year of manufacture, and if possible, the piano’s serial number along with its history of tuning schedules. Music, one of the greatest inventions of the mankind. It’s powerful, diverse, and an essential part of our lives and has been there for many centuries. As it is, the majority of us give due importance to music, listen to it for pleasure, and the passionate ones choose it as their career. All of these reasons have immensely contributed to revolutionizing the music industry. Canada, the largest country in North America, is also not devoid of music. From the art classes in Scarborough to violin lessons in Markham, even the smallest of the cities and towns in Canada reflect the accumulation of music from multicultural communities. Music has a lot to do with instruments from the string family that produce sound with a perfect pitch, rhythm, dynamics, and sonic qualities. Violin is the smallest yet the highest-pitched instrument that can bring life to any musical event. However, playing the violin is not as easy as might seem to some of you. You have to take violin lessons to become a pro violin player. But, before you choose a music center, here’s what you need to consider. Research has proven that music can make the human mind smarter. In fact, children who take music lessons have been observed to perform better in academics as well. The reason lies in the fact that learning any musical instrument can lead to the advanced development of neurophysiological distinction between sounds and beats. That, in the long run leads to an improvement in neural processing and hence, improvement in brain function. 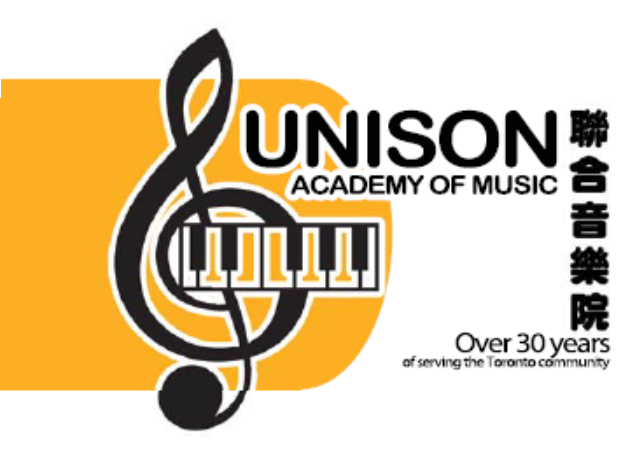 Guitar and piano lessons in Scarborough that help in understanding the nuances of creating music. The latter triggers the complex quarters of the mind. That further leads to an internal encouragement to be more creative and productive. The brain’s ability to execute tasks like problem solving gears up eventually and to a great degree. In short, there is a boost to the IQ in general. All of this happens because of the amount of concentration that is required for learning an instrument like the guitar or the piano. It is more like exercise for the brain that only makes it stronger and smarter in more ways than one. As the emotions and more intellectual factors in the brain are triggered for the better, signs of a higher IQ become more prominent. The art of learning and playing music is therapeutic and enriching. Moreover, playing the guitar has been one of the most endearing fantasies of majority of music enthusiasts. If you have learnt to play few simple guitar notes and find it difficult to play specific ones or don’t feel confident enough to jam in a band, it is time you invest your valuable time in music theory for guitar in Scarborough. Learning guitar theory in the right manner enables the guitarist to maneuver their way around the fretboard, compose and orchestrate music. It gives the right opportunity for you to understand the chord relationship, harmony, key, modes and applications among others. Without right knowledge about guitar theory, it is certainly difficult to accomplish an extraordinary and a beautiful tune. Here are some incredible benefits you can reap after learning guitar theory. It will help you to easily learn and cognize the structure of songs to play on the guitar. Guitar theory can help the guitarist in composing a soulful tune on the instrument effortlessly. Theory lesson enables the guitarist to play spontaneously and jam with other members without any inhibitions. With more religious practice of the guitar and all the knowledge and learning of technical nuisances, one can become a professional in no time.